Basics of building the Smart TV applications using scenes mechanism. ** This class will not be supported in 2015. All functionalities of AppsFramework are more improved, integrating with CAPH. Therefore Appsframework is not supported since 2015 Smart TV. To use functionalities of Appsframework, refer to here. A scene is a kind of layer - it is what the TV user sees and interacts with to perform a single task or a group of tasks. Each scene has show/hidden and focused/blurred states. A focused scene controls the key input. You develop scene-based applications by managing scenes and scene states. 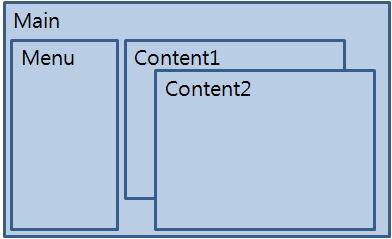 In order to add use scene-based architecture in your application, you must add the scenes to your application’s project files. Samsung Smart TV provides the following tutorial to demonstrate different aspects of working with Scenes: Creating a News Application. The Scene HTML file name must be in the form like this: [SceneID].html. It is located in the app/html directory. Let’s assume we are preparing the Main scene so our HTML file will be named Main.html. Add HTML content to the body by wrapping the Scene[SceneID] ID’s div tag as shown below. The CSS file used for the scene HTML setting, must have the name formed like this: [SceneID].css so in our case it is Main.css. It is located in the app/stylesheets directory. All the scene css files are loaded when the application starts. Note that if the scene is not fullscreen style, the position (left, top) and size (width, height) could change. The example below shows a basic scene class.